Spain, Miller, Galloway & Lee, LLC, is one of the leading trial law firms in the region. Much of the firm's practice focuses on litigation with an emphasis on trying cases to jury verdicts. It is this experience in front of juries that leads to successful results for our clients both in and out of the court room. The philosophy at Spain, Miller, Galloway & Lee, LLC is simple. We quickly and efficiently evaluate cases early in the process so we can create a plan of action to best meet our clients' needs and goals. Whether your case can be resolved early through mediation or has to be tried to a jury, our attorneys are well equipped to guide and counsel you every step of the way. 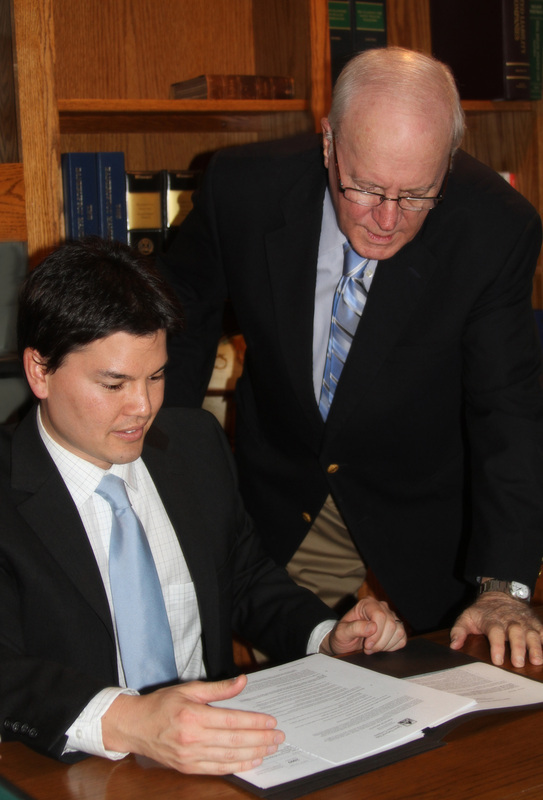 Our attorneys regularly appear in court rooms in every county in Southeast Missouri. This familiarity with each venue gives us a unique perspective in evaluating cases. Our commitment to our clients is that we will give each case the attention it deserves so we can put our clients in the best possible position for success. This commitment has stood the test of time, which is evident from the relationships we have built with many of our clients that have lasted decades. We would be honored to put this commitment to work for you.